OutHistory.org was founded in October 2008 by Jonathan Ned Katz, author of the groundbreaking Gay American History (1976) and other books on the history of sexuality. When the Internet became part of the everyday life of millions – even billions – of people in the 21st century, Katz understood that the work of archiving, establishing LGBTQ chronologies, and highlighting new discoveries begun in Gay American History should continue on a digital platform. 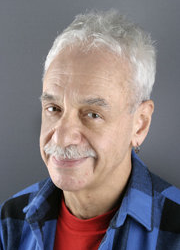 Katz's longtime history as an activist and community scholar also caused him to imagine the site as a place of active community participation in the process of discovering and writing LGBTQ histories. Reflecting the importance of history from below to the civil rights and liberation movements of the 1960s, Katz's vision embraced the work of amateur and professional historians; researchers based in colleges and universities and those working on their own; historians focused on a particular topic and those with wide interests. The result is the site you are exploring now, where all of us have a forum to learn, contribute, publish, and share our research with others. OutHistory.org has had important benefactors in its journey to Web 2.0. An initial grant in 2005 from the Zebra Fund at the Funding Exchange allowed Katz to begin the work. In collaboration with the Center for Lesbian and Gay Studies (CLAGS) at the City University of New York, Katz was awarded a two-year, $100,000 grant by the Arcus Foundation to design the first site in collaboration with Cidamon, a New York based web design and development company, using open-source MediaWiki software. A second grant from Arcus supported the first wave of content creation through the “Since Stonewall Local Histories Contest,” an effort to encourage community history research. Many of those submissions are now featured content on this site. You can see some of Katz's work for OutHistory.org here. In 2013, Claire Bond Potter, Professor of History at The New School, joined Katz and D'Emilio as a co-Director. Currently, she is responsible for the daily management of the site, has established the popular OutHistory.org blog, is leading a digital team in a reorganization and redesign of site content, is leading out a new set of timelines funded by a grant from Arcus, and is recruiting a Board of Contributing Editors. She is assisted by Christopher Howard-Woods and the staff at The Digital Humanities Initiative at The New School. We would like to thank Kevin Q. Ewing, managing editor, 2014-2016; as well as the Provost Tim Marshall, Executive Dean Mary Watson, and School Dean Melissa Friedling for the continuing support provided by The New School. In May 2016, OutHistory.org celebrated the 40th anniversary of Gay American History with a conference co-chaired by Potter and Daniel Marshall, Senior Lecturer in Writing and Literature, Deakin University, Melbourne, Australia, and managed by Kevin Ewing. The conference, co-sponsored by the ARCUS, CLAGS, The New School and OutHistory.org, brought together hundreds of LGBTQ historians and activists from around the United States to celebrate the state of our field and learn from each other. In 2017 OutHistory.org added two additional Co-Direcors, Randall Sell and Kimon Keramidas. Randall Sell, Associate Professor at the Drexel University School of Public Health, has contributed original research to OutHistory, most notably on Allen Bernstein and Earl Lind. Kimon Keramidas is Associate Director and Clinical Assistant Professor at the NYU's Center for Experimental Humanities. Kimon taught a course with Jonathan Katz and Elizabeth Heard titled Queering the Web, that used OutHistory.org as a model for thinking about representations of queer people online in the digital age. Kimon and Randall are advising on the redesign of the website. OutHistory.org is a non-profit organization that is a sponsored project of the Fund for the City of New York. We are funded by The New School, by grants, and through donations from readers like you. All donations go directly to content creation, design and editorial work, and every $5000 we raise allows us to hire another student to work on the site. Please be as generous as you can be.